The Pune Java Meetup group hopes to meet on the second Saturday of every month. This group is a free/open group. Anybody interested in Java can join the group. Anybody can propose a meeting. Join the group by going to the Pune Java Meetup Group on meetup.com. This month’s meetup, on Saturday, will feature Kiran Narasareddy talking about his experiences with Modeling Frameworks – specifically their (bad) experiences with the EMF (Eclipse Modeling Framework), and good experience with JaXB. The talk will also cover the various different plugins available for JaXB, and what all you can achieve using them. After that Atul will talk about using struts unit testing framework. It is a very effective way to decouple the Action Layer from the Business Layer – No need to wait for UI development to test your code. Very appealing – and addicting. Tech-Ed On Road brings you the very best in Microsoft Technology Showcase. Brought to you by the Pune (Microsoft Technologies) User Group. For more details about the events, and detailed speaker bios please see the event page. This event is free for everyone to attend, but please register. “Pune User Group” is a local user group of developers interested in Microsoft technologies and platforms. It has an informational portal with very active forums, it holds monthly user group meetings, an annual developers conference, and it also has a number of special interest groups. 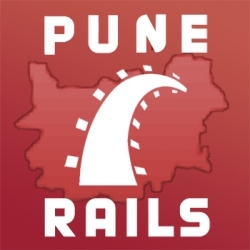 For more details see the PuneTech wiki profile of PUG. For other tech events coming up in Pune, see the PuneTech calendar. See also other PuneTech articles about PUG, and Microsoft. What: Talk by Abhijit Abhyankar, country head of Rambus India, on the current trends in the semiconductor industry and emerging opportunities in the areas of IC design, EDA tools and applications. Abhijit Abhyankar is a Sr. Engineering Director, and the country head for Rambus Chip Technologies, India. Abhijit has over 17 years of industry experience and was directly involved in the design of groundbreaking Rambus memory technology. He has held various engineering, management and executive positions at Rambus. He has authored several publications and is the inventor of multiple patented technologies at Rambus. Abhijit has an MBA degree from San Jose University, an MSEE from Stanford University and a BSEE from University of Utah. PuneChips is a special interest group on semiconductor design and applications. This event is the inaugural event for PuneChips. PuneChips was formed to foster an environment for growth of companies in the semiconductor design and applications segment in the Pune area. Our goal is to build an ecosystem similar to PuneTech for companies in this field, where they can exchange information, consult with experts, and start and grow their businesses. PuneChips has been started by Abhijit Athavale, president and CEO of Markonix, and a high-tech marketing consultant. He has 16+ years of high-technology industry experience. Prior to Markonix, Abhijit spent over 11 years at Xilinx, Inc. in various engineering, applications and marketing roles. In his role as a marketing consultant, he has held executive management positions at Taray, Inc and Sanved DA. He has a masters degree in electrical engineering from Texas A&M University and a bachelors degree in electrical engineering from University of Pune. He is an accomplished speaker and author of several publications including a book.